Want to quickly see how the open-source software Webutler works? You'll find a free and updated demo installation of Webutler here. We are currently updating the Webutler demo. Please check back shortly. There will be a new version up soon. 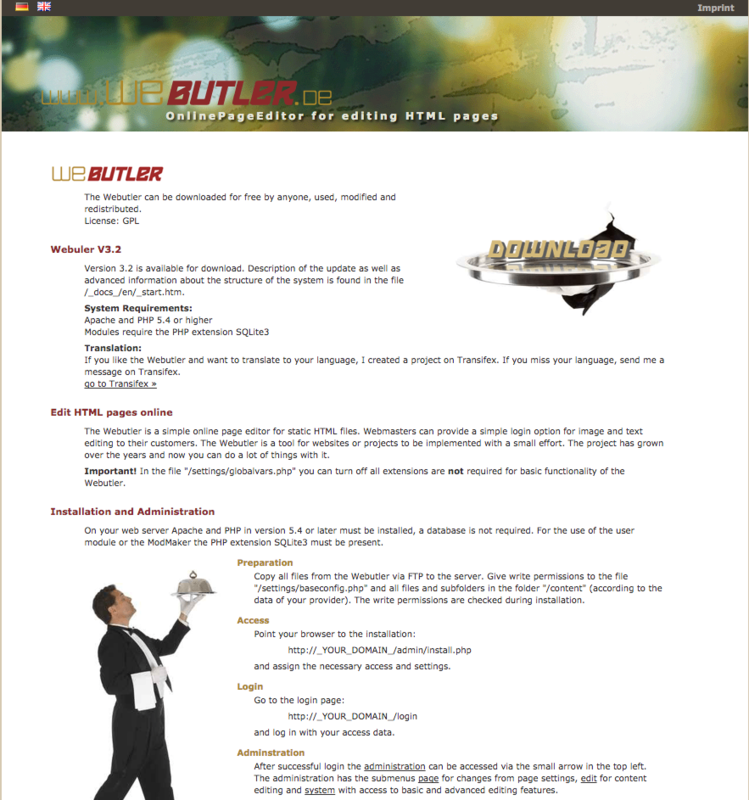 Webutler is an online page editor for static HTML files. It was developed for webmasters, who want to provide a simple login option for image and text editing in their pages. The system is grown up over the years and became bigger and bigger. If you want to see how a Webutler demo works you can download it by clicking on the link below. This will give you a better idea of the features you can find in a demo site. Webutler requires PHP version 5.4 or higher for the installation to be successful. A Webutler demo allows you to edit and customize HTML pages online, manage menus, blocks and pages separately The latest version available for download is 3.2 and was released on October 18, 2016.